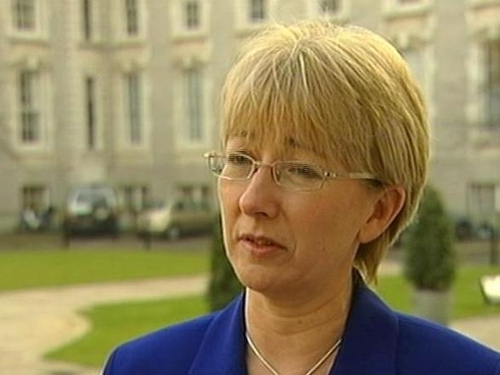 Minister for Education Mary Hanafin has said that while the Government is committed to continuing to reduce class sizes, no agreement has been reached on specific numbers. She was responding to a motion passed at the Association of Secondary Teachers in Ireland conference in Killarney supporting a reduction in class sizes to a maximum of 20 pupils per subject. Earlier, the Minister said there was no question of the Catholic Church being allowed to impose a veto on the appointment of staff to three new State community primary schools being piloted in Dublin. Speaking in Kilkenny, Ms Hanafin annnounced her intention to hold a public conference to discuss the new model of multi-denominational school, and the impact of a new diverse pupil body in schools generally. Ms Hanafin told the Irish National Teachers Organisation conference that it was important to discuss these issues in a public forum. She said the conference would be held later this year. The event will focus on the challenges of a changing society for new and existing schools, concentrating on schools ethos and approach to religious instruction. It will also discuss the implications of this for school enrolment policies. Referring to the new model of State-run primary schools planned, the minister said the Government had very deliberately decided to make these schools multi-faceted rather than non-denominational. She said the Government wants them to cater for all children of all faiths and of none. But Fine Gael Education spokesman Brian Hayes has described Minister Hanafin's announcement of the one-day conference 'as the barest of fig leaves to cover her complete inaction in this area'. Deputy Hayes said it is unacceptable that the Minister has offered a toothless conference that will last a few hours when a comprehensive debate bringing in all education partners and political parties is needed. The question over the new inclusive schools and how they should be run has generated significant controversy. Earlier the INTO said it will oppose a demand by the Catholic Church for a veto over teachers who provide religious instruction to Catholic pupils in new multi-denominational schools. The veto is one of several demands made by bishops in private talks on a new primary school model with the Department of Education. The details were revealed in documents released to the Irish Independent under Freedom of Information. The under funding of education has emerged as a major theme of this year's teacher trade union conferences. 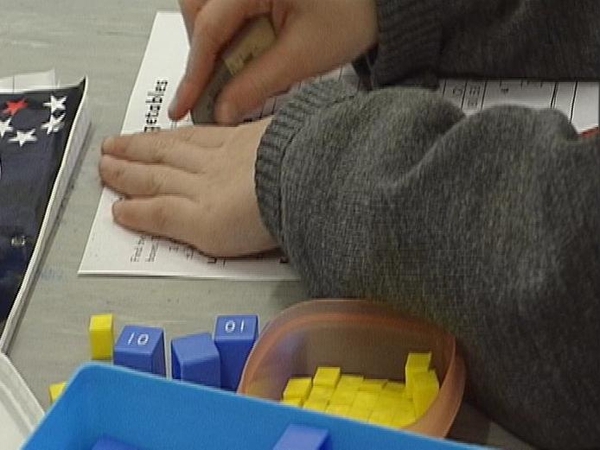 Primary school teachers will debate a call for industrial action unless funds are made available to reduce class sizes. The INTO has strongly criticised the Government for reneging on its pre-election commitment to reduce class size at primary level. Class size is also a big talking point for ASTI delegates gathering in Killarney. On funding for education, the ASTI points out that Ireland comes 29th out of 30 OECD countries for the proportion of wealth invested in second level. This year, conferences take place in the shadow of economic downturn, but the Teachers' Union of Ireland has warned that now is not the time to be cutting back on spending for education.